What can you tell us about the Storyline approach? Storyline creates a partnership between the teacher and the learners in which the teacher designs the ‘line’ – the chapters of the story, and the learners create and develop the story. The line or plan aims at curricular content (knowledge) and skills practice while the story provides the context within which the pupils feel motivation through ownership. They create the characters that will bring the story to life. The ‘line’ is designed in a series of key questions. Storyline is not only about knowledge and skills but also about feelings and attitudes. Typically a Storyline topic will begin with an episode designed to create either the characters or the setting. For example – ‘Who are the people in a family?’ ‘Who will be in the family that your group creates?’ Following discussion in the class and in working groups the pupils are invited to create their family characters using a simple collage technique. 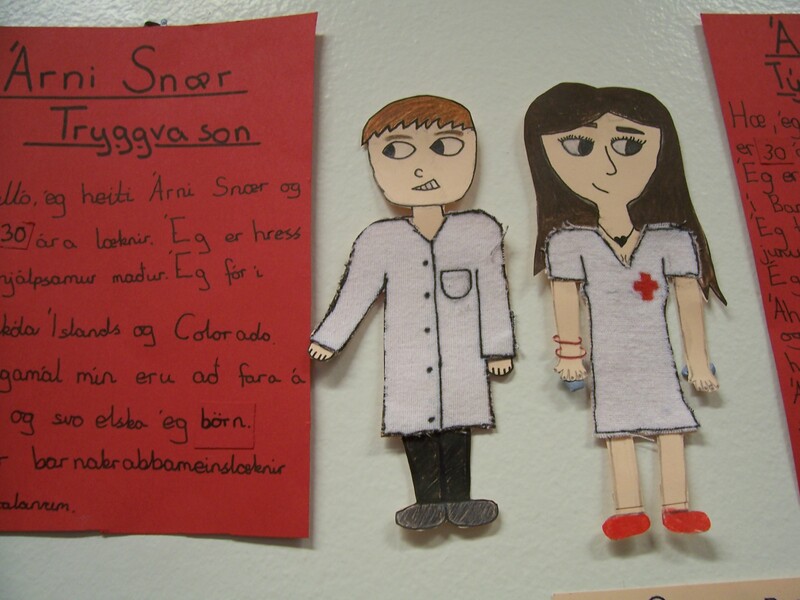 Each pupil creates their own character and provides a name and a simple biography. The characters are displayed in family groups and introduced to the rest of the class. Having established groups of characters and explored their relationships, work and leisure, hopes and fears, then the teacher can set the story in motion. For example – ‘Where do your families live? What kind of house or flat do they have?’ Such key questions can lead pupils into designing the family homes and the community as a whole. The children consider what they have created in the biographies as these may demand workplaces, leisure facilities, service areas etc. Once again art craft techniques enable a large scale wall picture of the setting to be created by the pupils. 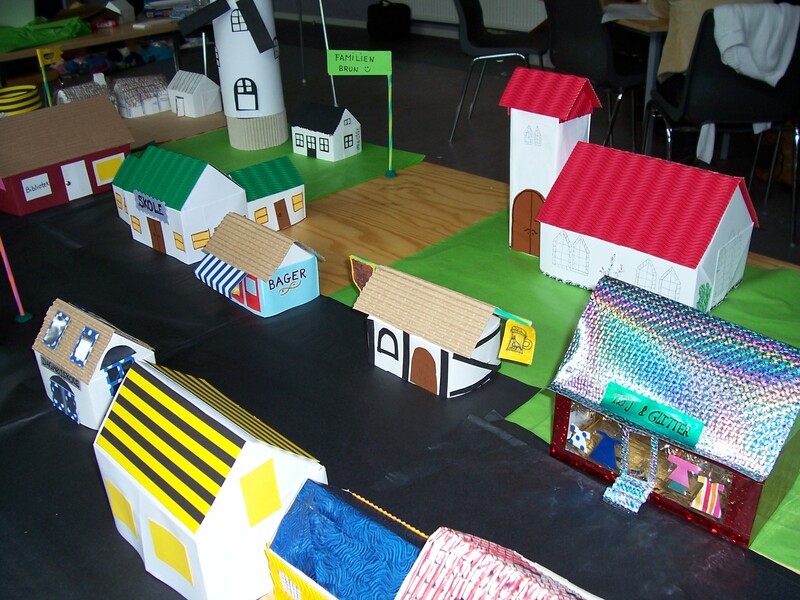 In the ‘Capital Tours Storyline’ the teacher informs the class that the families have won a two week holiday visiting three European capital cities. As a result pupils compile their map of Europe and having checked this against the internet decide on the three cities their family will visit. These examples of ‘contemporary’ Storylines demonstrate how a community study or a geographical topic may be developed using Storyline as the medium or framework. Having established characters and setting the story now progresses through a series of incidents or events some imagined by the pupils and others proposed by the teacher. In this way various curriculum aspects can be covered. For instance in ‘Families in a Community’ it is possible, in a ‘safe’ way, to explore family relationships, sensitive issues in health, tensions that may arise with the advent of new neighbours, safety in and around the home, managing family budgets, to name only a few. ‘Capital Tours’ offers opportunities to explore different cultures as the families visit their choice of city. Time, distance and travel options may be investigated. The need for a passport and possibly a visa, foreign currency and health precautions may arise in a meaningful context. One popular activity in this topic is packing a suitcase for each character. Each group can research then plan a sightseeing tour in the capital of their choice. They may find out about the music, dance and cuisine they are likely to encounter and can design postcards to send home or keep a diary of their journey. In our experience of this topic pupils have suggested many different incidents – a lost passport, a lost child, unexpected romance, taking part in a TV interview, attending a concert or a football match. Like all ‘good’ stories the Storyline should end on a high note. In ‘Families in a Community’ it might be a celebration – a wedding, a street party or a festival. In ‘Capital Tours’ the families might take part in a TV show about European holidays. In Storyline it is also possible to explore topics in history or with a science focus. Here the story will give a sense of purpose to research as once again pupils seek answers to the key questions planned by the teacher. Needless to say these topics require careful planning and appropriate reference material. 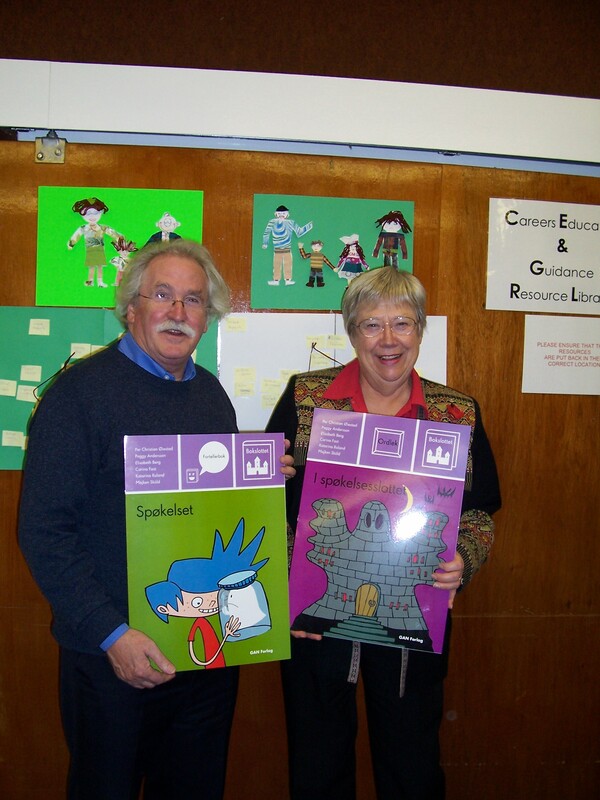 The Storyline approach encourages children to study and search for information with a real sense of purpose. They learn to discriminate and make decisions as well as going on to create. There is thus a blend between knowledge, skill, analysis and creativity in the Storyline experience and centrally the children learn that learning is within their power to do. 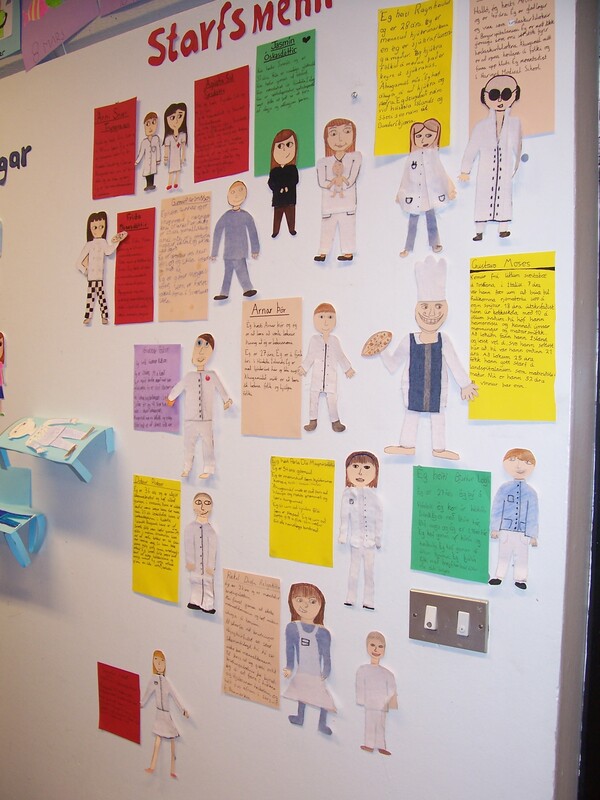 A Storyline classroom with displays of children’s work. Here the setting is a forest and some of characters are animals. Which countries are using Storyline now? Storyline work began in Scotland but the approach has been adopted and developed by teachers and teacher trainers in many different countries including Scandinavia, Iceland, the Netherlands, Germany, The United States, Thailand and Singapore. In March 2010 Storyline workshops were held in Istanbul and in Ankara. What are the reactions of teachers who use Storyline method around the globe? Teachers have reacted very positively to their experience of taking part in Storyline workshops. Course evaluations are generally very favourable. Teachers who adopt the approach in their classrooms speak highly of their pupils’ performance and the improved attitudes that Storyline fosters. 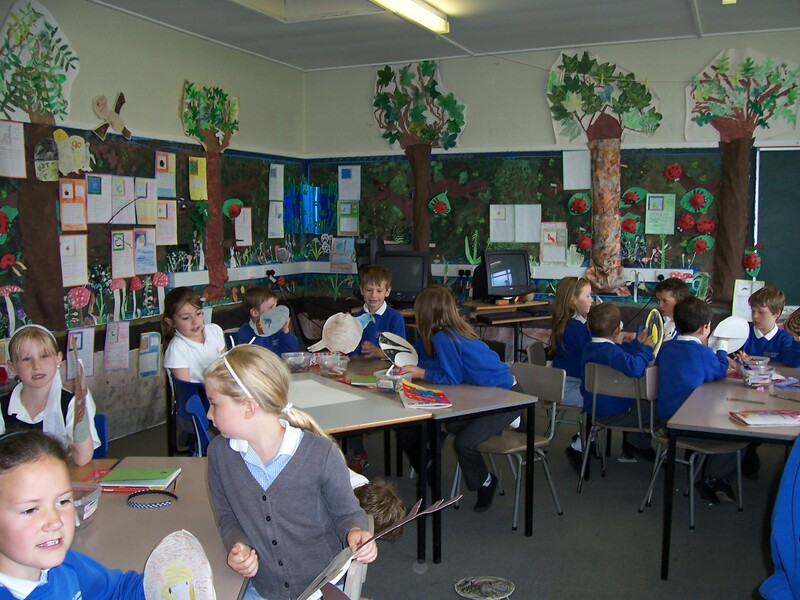 In Scotland Storyline helps develop the four capacities of the Curriculum for Excellence – successful learners, confident individuals, responsible citizens and effective contributors. Could you please trace the path/timeline of Storyline Development and what or who inspired you creating Storyline method? In 1965 the Scottish Education Department published ‘Primary Education in Scotland’, a forward looking report that recommended child centred approaches to learning, differentiated groupwork, integration of subject areas and cross curricular topic work. It was in response to this that the Jordanhill Staff Tutor Team was appointed to assist class teachers change their practice. From the early days of ‘staff tutor topics’ Storyline was developed in collaboration with school staff, also taking account of the many advances in educational thinking. Very successful workshop courses were on offer and these proved to be the best way to explain the approach which is essentially interactive. Storyline development has continued and the approach is recognized by some as being an educational philosophy. Basically it a design idea that encourages and models democracy and good citizenship. It can be used with learners of any age and for many purposes. Not surprisingly Storyline uses the basic elements of ‘story’ – setting, characters and plot – to frame the learning plan. How have you grown the Storyline Approach from an idea to where it is now? The many ideas or principles that are essential parts of the Storyline Approach were developed through experience and reflection over many years working directly with teachers and pupils. Travel to new countries, access to other curricula, and discussion with practitioners have all contributed to this development. Absolutely essential has been the continuation of the practical workshop courses in which participants take part in Storyline activities. Also important is the growing body of Storyline literature and in recent years the Storyline Scotland Website (www.storyline-scotland.com) and the advent of e-mail have made it possible for Storyline to reach a wider audience. Another recent feature of Storyline has been the number of students in Masters and Doctoral programmes who are putting Storyline at the centre of their research. You were given the name –The masters of the Storyline Approach– can you explain to our readers how that came about? This title is a compliment much appreciated and perhaps attributed to us in recognition of the fact that we have been in Storyline since its beginnings and are still active well into our retirement. How can people find more information about Storyline? You are welcome to email Steve or me. Better still arrange to attend a Storyline Workshop. Write to Steve or to me with any questions you might have. Click here for previous version with animation.